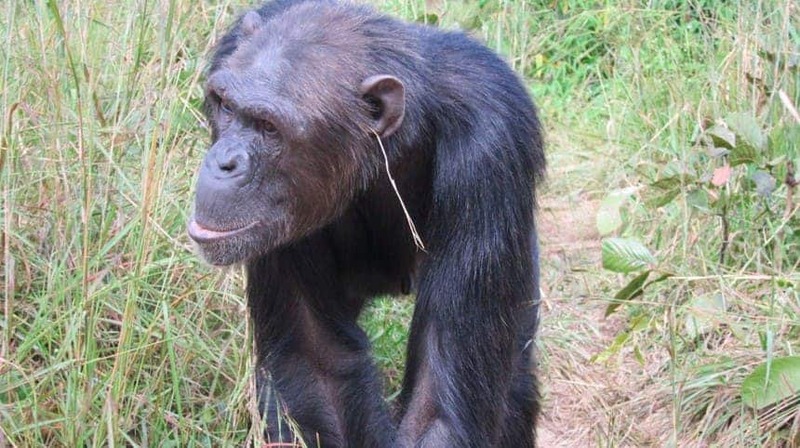 It’s a trend that has taken a chimp group by storm: a blade of grass dangling from an ear. All the cool chimps are doing it and, well, you’re not cool if you don’t do it! It’s the first time when chimps have created a tradition with no practical and discernible purpose – in other words, it’s the first time when chimps exhibited a fashion sense. Just to be completely clear from the start, scientists have used the term “fad” to refer to a a social endeavor with no (apparent) communication/evolutionary benefit, and one which also seems to be free of genetic or ecological factors. “Our observation is quite unique in the sense that nothing seems to be communicated by it,” says study author Edwin van Leeuwen, a primate expert at the Max Planck Institute in The Netherlands. The challenge of this study was actually determining if this was actually a fad, and not something chimps were just doing randomly. In order to figure this out, van Leeuwen and his colleagues spent a year observing four chimp groups in Chimfunshi Wildlife Orphanage Trust, a sanctuary in Zambia. Even though all chimps lived in the same grassy landscape, only one group of chimps was doing the grass-in-ear thing. There was no other factor that scientists could observe (genetical or ecological) that could cause them to do this – it was simply a cultural fad. Lydia Luncz, a primatologist at the Max Planck Institute in Leipzig, Germany, who was not involved with the research is convinced by the study. She believes that one or several chimps were doing this, and it just passed on through the “natural transmission” of new behavior. The trend setter in this case is Julie – the chimp who started this in 2010. Julie the inspired all the 11 chimps in her group to do the same. “Everybody can wear rings in their ears, but you just have to come to the idea to do it.”, van Leeuwen explains. The tradition goes on now, even with chimps who never met Julie. As funny as it may seem, this behavior is, in essence, similar to what many humans do. At its core, it’s not different from wearing earrings, or funny hats.